Medically reviewed by Dr Sam Kovac BVSC (MERIT). Director of medicine at the Lion’s Den Cat Hotel. What is ringworm? Transmission Symptoms Diagnosis Treatment Can I catch ringworm from my cat? 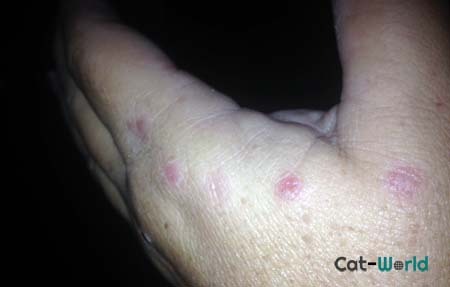 Ringworm in cats is a highly contagious, generally superficial fungal infection of the skin, fur and nails. It is caused by fungus of the genus Microsporum and Trichophyton. 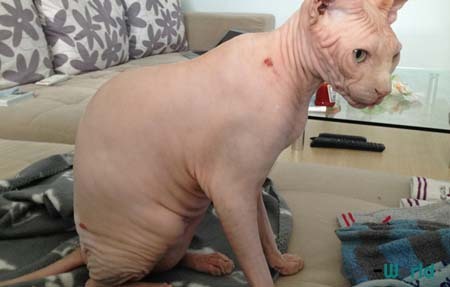 How do cats become infected with ringworm? Infection occurs via direct contact with an infected animal or fungal spores which are in the environment on objects which commonly include grooming equipment, bedding, collars and ectoparasites. How do you know if a cat has ringworm? Is ringworm contagious to humans? Yes, ringworm is zoonotic which means it is possible for the infection to spread from cats to people or people to cats (and other pets). Treatment: Oral anti-fungal drugs, medicated baths and/or medicated shampoos and dips. The environment must be cleaned at the same time as the cat is treated. 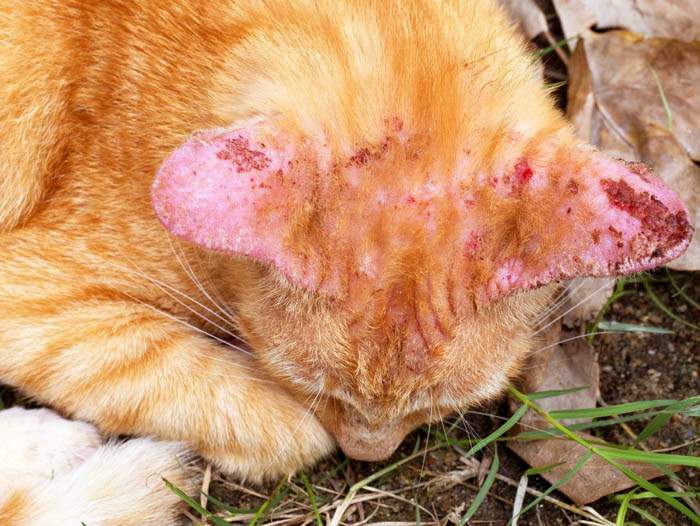 Also known as dermatophytosis (pronounced der-mato-phy-tosis), ringworm is a common fungal infection which affects the skin, fur, and nails of cats and other species. It is caused by a microscopic group of parasitic fungal organisms known as dermatophytes, meaning “plants that live on the skin“. Ringworm invades the dead, outer layers of the skin, claws, and hair. The name ringworm comes from the ring like, circular lesions which develop on the cat’s skin. Dermatophytes are more prevalent in warmer locations. Kittens and senior cats, cats in crowded environments such as catteries and shelters are at greater risk. Persian and Himalayan cats appear to be more predisposed to the disease than other breeds which may suggest a genetic component. Ringworm is a zoonotic disease, which can be passed on from cats to humans. Many other species of animal are also able to catch and transmit ringworm. The geographical distribution of ringworm is worldwide. Microsporum canis (M. canis): This species of ringworm is almost always a cat and accounts for approximately 98% of ringworm seen in indoor cats. M. Canis is considered zoonotic. Microsporum gypseum (M. gypseum): This species of ringworm is usually from dogs and cats exposed to contaminated soil and as such is considered to be a geophilic fungus, ie; one adapted to living in the environment or soil. Trichophyton mentagrophytes: Another species of zoonotic fungus (see M. Canis) which may cause ringworm in dogs and cats exposed to rodents, rabbits or hedgehogs or their burrows. Direct contact: With an infected animal. This may include grooming, rubbing against each other, sleeping together. Fomites: Clothes, bowls, furniture and hands which have been in contact with an infected animal. Environment, such as contaminated bedding, grooming equipment, cat carriers, carpet, furniture, air vent filters, and soil. Spores attach to the hairs, which are shed into the environment and can remain infective for up to 18 months. Most healthy adult cats have a natural resistance to the fungus. Clinical signs of ringworm typically appear one to three weeks after exposure. Up to 20 percent of cats are asymptomatic carriers. This means that they carry the fungus but show no signs of infection. 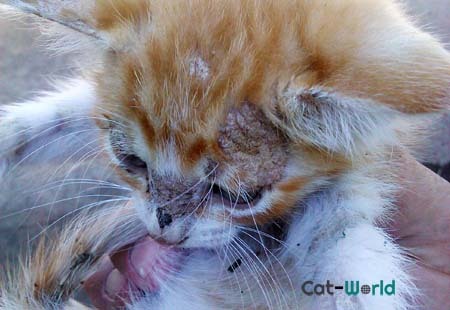 Asymptomatic carriers are still able to pass ringworm on to other cats (as well as humans and dogs). Circular patches of rough, scaly skin with a red outline and broken hairs or bald patches. Small pustules in the area of hair loss. Lesions are the result of an inflammatory response to the fungus and are found most often on the head, pinnae followed by the limbs and tail, however, any part of the body can be affected. Ringworm should be considered a possible cause of pododermatitis (inflammation of the skin on the foot) in cats. Lesions may range from small and barely noticeable to severe, affecting large parts of the body. Ringworm may or may not be pruritic (itchy). Large areas of hair loss may occur without characteristic rings, crusts or exudate. Severe cases of ringworm may lead to folliculitis and/or secondary infection of the skin. Infection of the claws may present as claws which are easily broken, flaky, crusted and malformed. Are some cats more susceptible? Ringworm is more common in younger cats under 12 months of age and senior cats over 10 years old. Adults have had time to build up a natural immunity to the fungus, which makes them more resistant to infection. Kittens are at greater risk of infection due to their immature immune systems and possibly because they are less efficient at grooming, and thus removing the fungal spores. Immunocompromised cats (such as those undergoing chemotherapy or on long-term steroids). 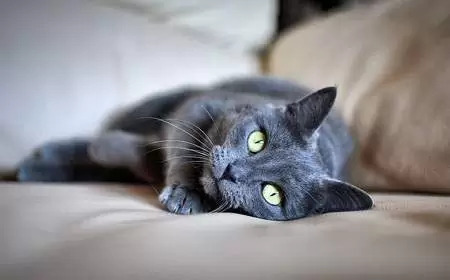 Cats who are run down due to sickness, under-nourished, stressed and/or in crowded conditions such as animal shelters and catteries are at increased risk. A simple way to diagnose ringworm is to use an ultraviolet Wood’s lamp on the cat, although only around 30-50% of ringworm isolates will fluoresce. The infected hair shafts will glow a fluorescent green when exposed to a Wood’s lamp. Wood’s lamp examination will likely be positive in most cases of M. Canis dermatophytosis. Especially in cases of untreated infections. For rapid diagnosis, your veterinarian may choose to perform a microscopic examination of the hairs for microscopic fungal spores. This method has its pros and cons. Spores are difficult to see, it is best performed by an experienced mycologist (a botanist who specialises in the study of fungi). If the sample taken has no spores, diagnosis may not be accurate. A Wood’s lamp can be useful for identifying affected areas. 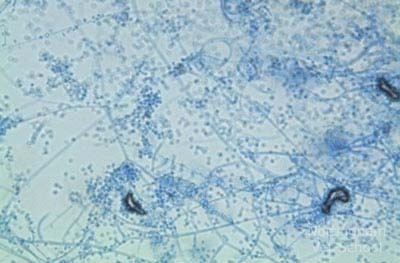 Fungal culture is the current gold standard, however, many false positive results can occur as the culture medium will encourage growth of all fungus, no matter how significant. Also, it requires special training for the veterinarian to look at the culture and determine the results, often there is no agreement between vets about whether a result is positive or negative. PCR panel is best as it detects the presence of specific dermatophyte DNA and will become the new ‘gold standard’ once more people understand its utility. It’s a lot more rapid than the fungal culture. A positive result does not necessarily imply an active infection, the cat may be a carrier therefore the veterinarian must interpret the results in light of clinical signs. Sometimes, if the lesions look uncharacteristic, a biopsy will be necessary. Your veterinarian may also want to run additional tests to determine if your cat is suffering from an underlying medical condition which has made them more vulnerable to ringworm. It’s generally recommended to have a blood test before starting oral antifungal medication as they can be hepatotoxic or cause liver damage. It will be necessary to treat both your cat and the home. If you live in a multiple cat household, all cats in your home will need to be treated at the same time. It is recommended to confine cats to just one room while treatment is underway to avoid spreading spores around the home. Always use gloves when handling a cat with ringworm and change your clothes immediately afterward. Wash in an anti-fungal rinse such as Canesten (available from the laundry aisle of your supermarket) to kill any spores you may have picked up. Carefully follow instructions—either on the medication packet and or from your veterinarian—when treating your cat. Ringworm can take several months to eliminate. Treat all cats and dogs in the home, even those without symptoms. Seek veterinary advice if you have additional species of animal. The treatment should include both oral treatment as well as topical dips or shampoos. 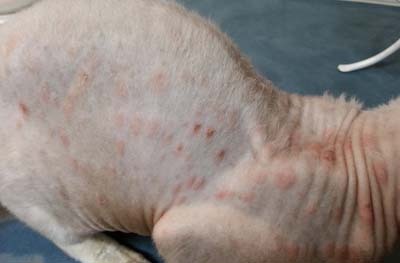 Griseofulvin is currently the only registered drug to treat ringworm in cats, however, itraconazole, ketoconazole and terbinafine are all much more effective and quicker to cure the infection than griseofulvin. This oral drug has overtaken Griseofulvin in its use to treat ringworm as it has fewer side effects. It prevents the growth of the fungus by preventing it from producing ergosterol, a component of the cell membrane, causing the contents of the fungus to leak out. 5 mg per/kg once per day for 7 days, stop for 7 days, repeat three times. Side effects are mild but may include nausea and loss of appetite. Itrafungol is an FDA approved oral solution which contains itraconazole (above). 5 mg (0.5 mL)/kg body weight/day for 3 alternate periods of 7 consecutive days, each time with 7 days without treatment in between. Salivation, vomiting, diarrhea, loss of appetite, depression and apathy may occasionally occur. These effects are usually mild. Griseofulvin inhibits fungal cell wall division by altering the structure and function of the microtubules. This allows the cat’s immune system to gain control and fight off the infection. Systemic and topical treatments (listed below) are most effective when used concurrently. Administer twice a day with a fatty meal. 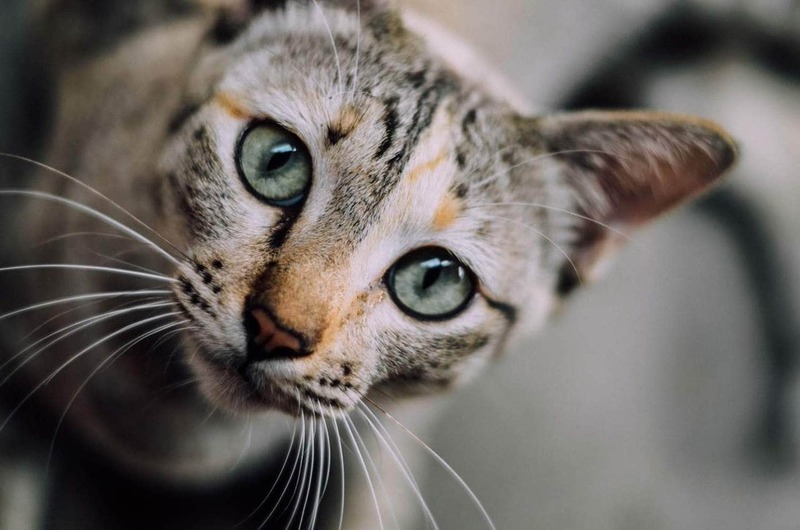 Griseofulvin cannot be used in stud cats, pregnant queens, or females you plan to breed within two months of treatment, as it can cause birth defects. Do not give griseofulvin to cats with FIV. Pregnant women should not handle Griseofulvin. Nausea, fever, lethargy, diarrhea, anemia. In rare cases, Griseofulvin can cause bone marrow suppression and liver disease in cats. If your cat becomes sick, seek veterinary attention immediately. Lime sulfur dips using an 30ml per litre concentration twice a week are the most effective. Drying of foot pads, hair loss on the ears, drying of the coat and yellow discolouration in white cats are all documented effects of lime sulfur dips to be aware of. Generally lime sulfur dips are safe and highly effective to use as an adjunctive treatment for generalised dermatophytosis in cats. Bathe twice a week for approximately two to four weeks. Lime sulfur dips can cause yellowing of the coat; however, this will fade in time. These are safe to use on pregnant cats and kittens over 2-3 weeks of age. Fel-O-Vax® MC-K is not available in all countries, including Australia. Antifungal vaccines may be useful as an adjuvant therapy only. Vacuum daily and if possible, throw out the vacuum cleaner bag. It is important to remove all cat hair from the environment. Vacuum under furniture, in corners. If you can’t throw out the vacuum cleaner bag, or have a bagless vacuum, empty the barrel (preferably outside), and wipe it out with a bleach solution. Disinfect surfaces: Diluted bleach (1:10, one part bleach to ten parts water) applied twice over 24 hours to clean down all surfaces including floors, walls, windows, and ledges. Note: Inorganic material inactivates bleach. Mechanical cleaning is necessary to remove dirt before you apply the bleach solution. Steam clean: Carpets and soft furnishings. The temperature of the water should be at least 110F to kill the spores. Discard bedding and grooming equipment: If possible, if not, wash with an antifungal disinfectant. Vents: Vacuum and disinfect. Fill a spray bottle with a 1:10 dilution of bleach and water and apply. Discard and replace air conditioner filters. 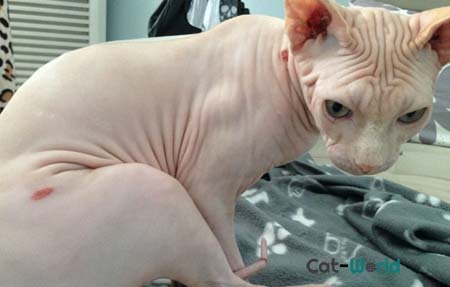 Can I catch ringworm from my cat? Yes, it is possible for humans to catch ringworm from cats and vice versa. The greatest risk groups are children under 5 years of age, seniors over 65, pregnant women and immunocompromised individuals. However infection can occur in individuals of any age. It is also possible to pass on ringworm from humans to cats. If you (or anybody in your household has ringworm), treatment with a suitable antifungal ointment or cream is necessary. Apply 2-3 times a day to the affected area(s) for several weeks. Cover ringworm lesions with a plaster/band-aid to avoid spreading the infection to other people and pets. Wash bedding and towels regularly using an antifungal rinse and do not share towels with a person infected with ringworm. Ringworm can be a frustrating infection to get rid of. Please remember that in most cases it is not life-threatening. Avoidance is always better than cure, particularly with ringworm. Isolate new cats for two weeks, not only to see if ringworm rears its head but also other contagious diseases. Bear in mind though that even if you have taken precautions, cats can be carriers. The photo above is my own daughter who developed ringworm around the same time we adopted a new kitten. He had no sign of ringworm himself but was a likely source. None of my other cats caught ringworm, sadly the kitten died shortly after his adoption from an unrelated condition. My kitten has ringworm, should I get rid of her? 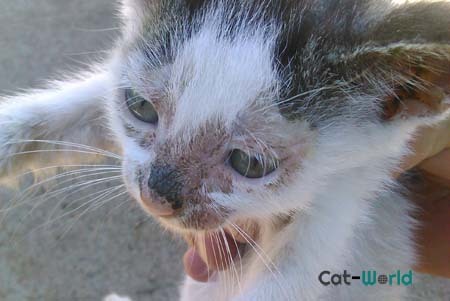 No, ringworm is not serious to cats or people and treatment should cure the infection. Can ringworm go away on its own? Yes it is possible but it can take many months for ringworm to clear up and in the meantime, any person or animal in or around the home is at risk of infection due to spores in the environment. Therefore we don’t recommend doing nothing. Unfortunately there aren’t any safe or effective home remedies. If your cat has ringworm, it is important to use a veterinary prescribed anti-fungal medication to treat the infection. Can I treat ringworm with apple cider vinegar or coconut oil? Apple cider vinegar and/or coconut oil are not effective against ringworm. Your veterinarian can prescribe the most effective ringworm treatment for your cat. Can I treat ringworm with an over the counter anti-fungal? This is not recommended as human preparations may contain different concentrations than cat ringworm treatments. Clotrimazole is an over the counter ringworm treatment that can be used to treat ringworm in cats, but we strongly recommend that you seek veterinary advise due to possible side effects and drug interactions. Avoid contact with the eyes, ears, nose and mouth. Do not use on pregnant cats.